KATHMANDU, Feb 12: The price of chicken eggs has come down by around 20 percent in the Kathmandu Valley. 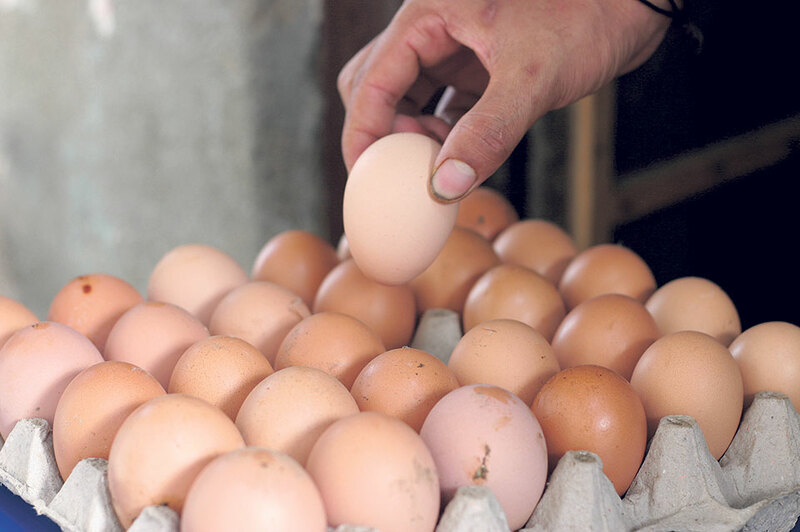 According to Nepal Egg Producers Association (NEPA), chicken eggs has fallen from Rs 15 per unit to Rs 12. “It has been months since I purchased eggs for lesser than Rs 15 per unit. Today, as I handed the cashier Rs 150, I was surprised to receive Rs 30 back from her while buying a pack of 10 eggs. Kathmandu is a place where prices can only go up, and the fact that the price of eggs has fallen by Rs 3 is pretty unexpected,” said a lady purchasing eggs from Niva Family Store, Lalitpur, on Sunday afternoon. Officials of NEPA also said that increased production prompted them to bring down price of eggs. “There has been a surge in production of eggs in the country by nearly a fifth. “As demands have not increased as expected, price of eggs has fallen to Rs 12 per unit,” Prabin KC, executive member of NEPA, told Republica. He said production of eggs is increasing in recent years due to growing attraction of farmers toward poultry farming. “As the number of poultry farmers has increased by 15 to 20 percent, egg production has taken a leap,” KC added. KC, however, claimed that the drop in egg prices have affected farmers. “Cost of poultry farming is increasing. The cost of buying and raising chicks is very high,” he added. According to KC, the price of chicks, which used to hover over Rs 50 per unit sometimes ago, has now skyrocketed to Rs 170. Likewise, the price of chicken feed has increased by Rs 3 per kilogram and while poultry farmers are having a hard time coping with the increased production cost, the fall in egg price will greatly affect the farmers, he added. KC further added that farmers will get only Rs 8 per unit of egg, while the production cost is at around Rs 10 per unit.